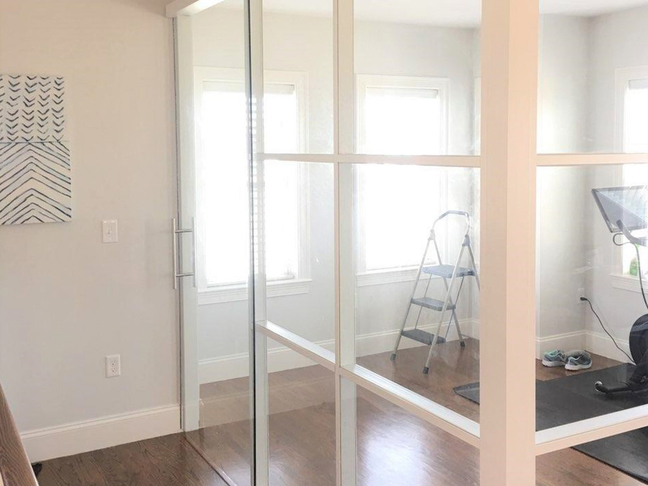 This project was completed for a client's private home office. 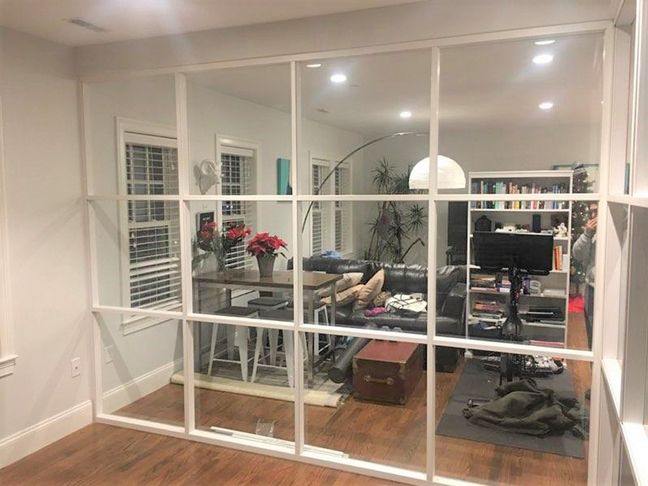 The client was interested in segmented architectural glass walls built within their living space, to serve as an enclosed home office. The goal was to create a modern yet simplistic space that allowed for ample daylight and transparency. 8 foot high glass wall partitions for the office, were completed using the NxtWall Flex Series glass partition wall system. 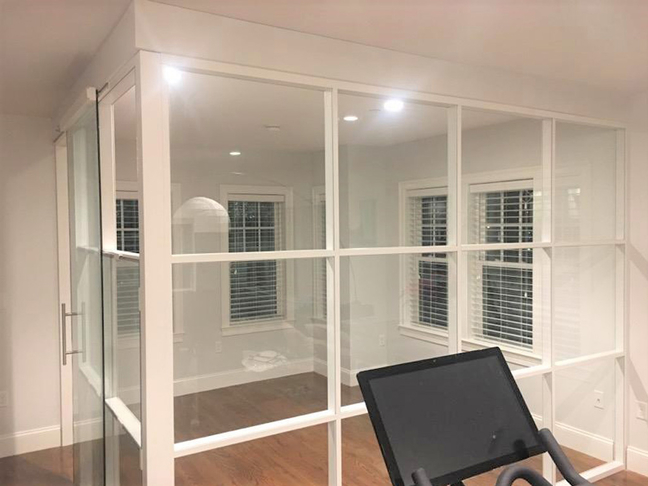 The enclosure includes one glass sliding door with a non-locking bar pull handle, and the powdercoat frame finish is done in a custom white.